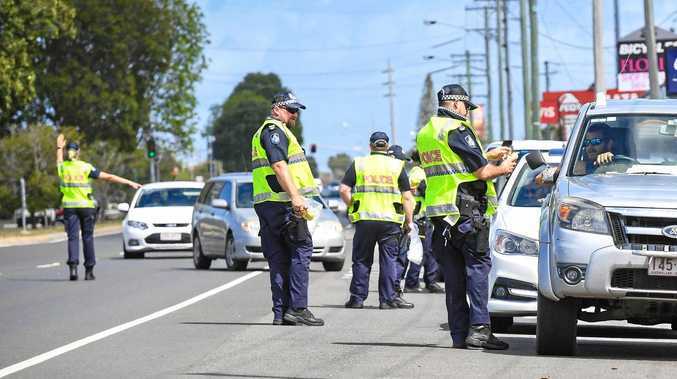 BATTLELINES have been drawn and ballot positions in the seat of Hinkler allocated ahead of the July 2 Federal Election. At noon today across the country, the Australian Electoral Commission played a special game of bingo as politicians eagerly awaited to hear their position on the ballot paper. 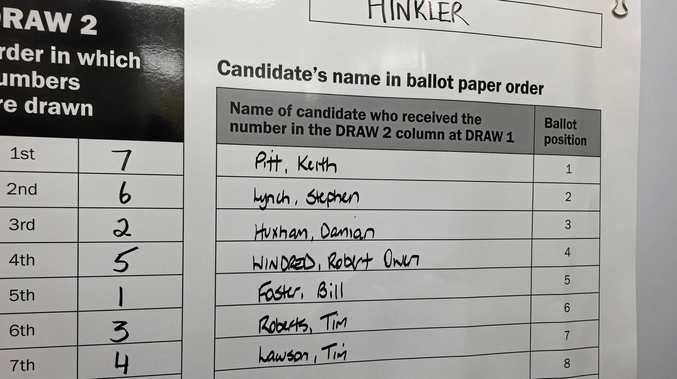 At the Maryborough St electoral office, seven Hinkler candidates were officially declared, with incumbent Hinkler MP Keith Pitt drawing first blood, taking out the coveted top spot. Tim Roberts: Tim Roberts talking after the Hinkler ballot was drawn. Family First candidate Stephen Lynch came in second with One Nation's Damian Huxham in third place. Bill Foster, who is standing as an independent, placed fifth while Greens candidate Tim Roberts was in sixth. Bill Foster: Bill Foster talking after the Hinkler ballot was drawn. Mr Pitt said while it was great to be at the top of the ticket, he was quick to point out a clear distinction between himself and his Labor opponent Tim Lawson, who drew last spot on the ballot. Keith Pitt: Keith Pitt talking after the Hinkler ballot was drawn. Mr Lawson said he was not disappointed with his position on the ballot and that it all came down to face-to-face encounters with voters. Tim Lawson: Tim Lawson talking after the Hinkler ballot was drawn. "I'm spending a lot of my time out meeting people in Hervey Bay, Bundaberg, Childers, Burrum Heads," he said. "I think people will make their own minds up when they meet me and realise I really am keen to help the community." One Nation candidate Damian Huxham said he was just happy being on the ballot and immediately went on the attack. Damian Huxham: Damian Huxham talking after the Hinkler ballot was drawn. "We need to end the stranglehold that is the stagnant LNP and we need to move forward," Mr Husham said. "With myself in the seat and Pauline (Hanson) backing me from the Senate, we can release ourselves from the chokehold of the LNP and move forward in this region." Australia Liberty Alliance's Robert Windred, fourth on the ballot paper, hoped his party's policies would get him across the line. Robert Windred : Robert Windred talking after the Hinkler ballot was drawn. Mr Windred said he wanted to remove pressure from the public hospital system in Hinkler by setting up publicly funded day surgery clinics.